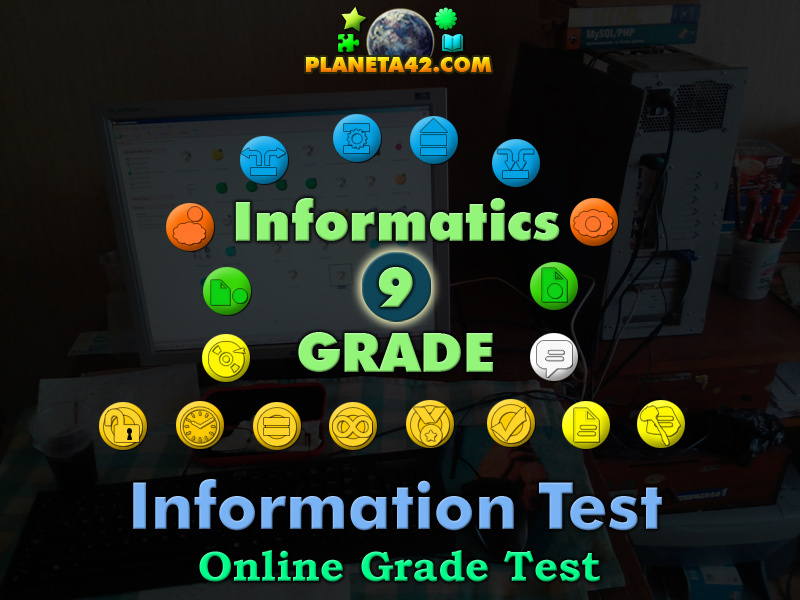 Online test on Information science. 9 grade Informatics evaluation. Computer science test. Information science. Include questions about the types, properties and process of information. A small 18 steps interactive test for desktop computers, laptops and tablets, which may be solved online in the web browser. It is cumulative with the Information Tree game. 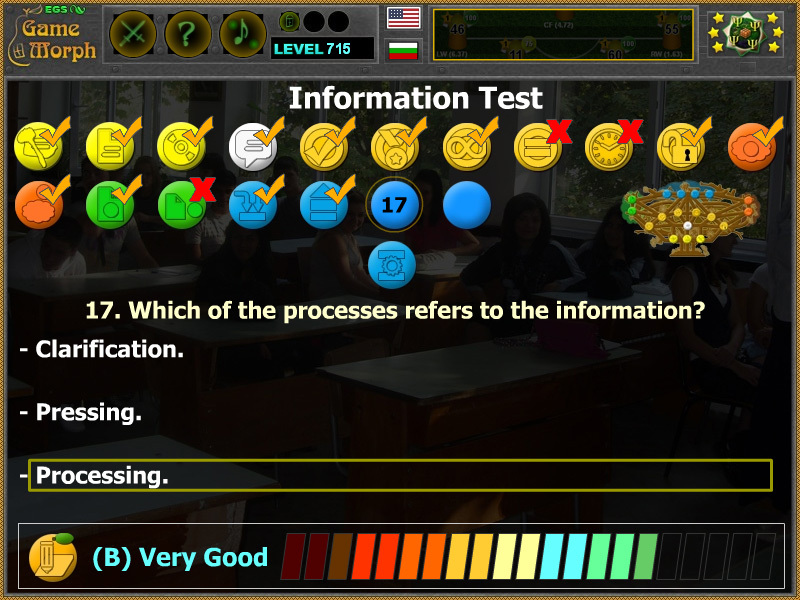 How to play Information Test. Know at least two types and properties of information. 1. How information was presented in ancient times? - On a stone plate. - On a sheet of paper. - On discs and flash drives. 2. How information was presented during industrial age? 3. How is information presented in 21 century? 4. In what form the information is distributed? 5. Which of the following is a property of the information? 6. Which of the following is a property of the information? 7. Which of the following is a property of the information? 8. Which of the following is a property of the information? 9. Which of the following is a property of the information? 10. Which of the following is a property of the information? - It is not available to everyone. - Is available to everyone. - It can not be stored. - Is to know where to look for information not to remembering. - Is based on talent. - Is based on observation. - Is to know where to look for information without remembering it. 15. Which of the processes refers to the information? 16. Which of the processes refers to the information? 17. Which of the processes refers to the information? 18. Which of the processes refers to the information?